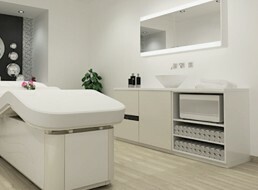 EpicDermis Medical are proud to work alongside So Me Beauty & Wellness, delivering treatments in our Clapham Junction clinic. After a successful partnership over the last few years, EpicDermis now has two medical clinics located at the So Me facilities. Our Clapham Junction, SW11 medical clinic is located at the So Me Beauty & Wellness salon in the popular Northcote Road area. At our Clapham Junction medical clinic all procedures are carried out by a UK Doctor, ensuring the highest level of care and attention.